Yet again I am joining with other bloggers writing about giftedness in the blog hop. The topic of this month is Gifted Testing. When people think about gifted testing, most automatically assume that we are talking about IQ tests. IQ abbreviation recently celebrated 100th birthday – it was coined by the psychologist William Stern for the German Intelligenz-quotient, his term for a scoring method for intelligence tests he advocated in a 1912 book. Since then our understanding of the human brain has evolved, and so too has the notion of IQ, what it really means, and how it is most accurately captured. We know now that there are at least three components that affect overall performance on intelligence tests. These include short-term memory, reasoning, and verbal recall. We also now that intelligence itself is not something indivisible, and the theory of multiple intelligences continues to evolve together with ways to measure those components of overall intelligence. 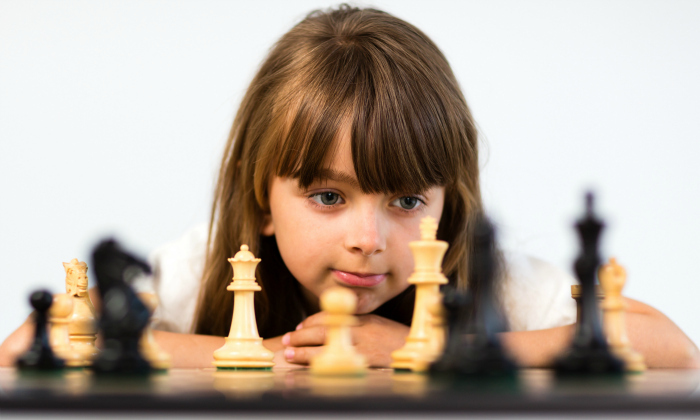 Despite all the changes in our understanding of intelligence, some sort of gifted testing continues to be in wide use here in US – mostly to identify students for gifted and talented programs. Hoagies Gifted has a very comprehensive page on their website discussing various kinds of gifted testing in an article Why Should I Have My Child Tested? I think many of us heard this question before: My toddler started to walk at 8 months, talk at 10, knows all her letters by 18 months. Is she gifted? Where can I get her tested? My immediate reaction to these inquiries is, Why do you want to know? I believe we need to inspect our real reasons for wanting to know “the gifted status” of our children. Is there anything that you will do differently or anyone else will do differently with your children if you can officially label them as gifted? Or is “gifted” label something that you want to have, so you can get “bragging rights”? In general, I see absolutely no reason to test preschool age children for giftedness. Most parents can challenge them on their level just fine without having to worry as to just how exactly gifted their little angels are. I am also appalled with a variety of books and programs that claim to prepare our children for gifted tests. 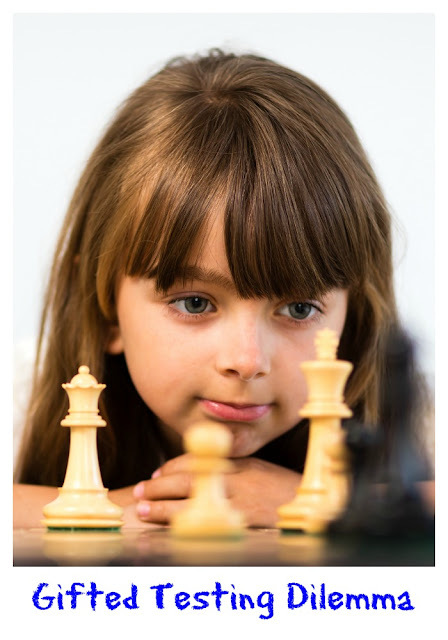 No wonder that many people consider gifted kids “privileged brats” thinking that their abilities are brought on by pushy parents and training rather than by their inborn qualities. When Gifted Testing Is a Good Idea? Do you feel that you “don’t understand” your child? Do you feel that he or she struggles in school despite being obviously intelligent and having deep and unusual interests for his or her age? Does your child have some sort of disabilities (physical or learning) while surprising you daily with his or her take on life? Do you hope to get extra support, services or cooperation from school based on the results of the gifted testing? Those are some of the scenarios where gifted testing might be beneficial. One of Smarty’s best friends clearly belonged in his category – his intelligence was obvious, but his behavior in the classroom was making both teachers and his parents pull their hair out. His parents asked for profound psych evaluation from the school district. He “maxed out” in intelligence testing with the test used in our district. I can’t say that this made substantial difference in his school life (I happen to believe that profoundly gifted students cannot be accommodated in public schools despite any amount of best intentions), but at least there is more empathy and a somewhat different approach from teachers and administrators while they are dealing with his behavior and sensory integration challenges. We chose not to test intelligence of our 8 year old. However, as all California second graders, she took a CogAT test last year. What I like about CogAT is that it is not an achievement test or an intelligence test. This test measures reasoning and problem solving skills in the areas of verbal, quantitative (mathematics), and spatial or non-verbal (using shapes and figures to solve problems). However, this is a test given in a group setting and only once. A student who could be sick on the day of the test or simply not in his or her best shape could easily fall from the GATE (gifted and talented program here in California) selection process. Anyway, this year we were notified that our daughter qualified for GATE based on the results of this selection process. The GATE services are “puny” in my mind and are based on after school activities that every single child could have benefited from, but, hey, it’s better than nothing. Is It Bad for Kids to Be Labeled Gifted? This topic by itself always generates very hot discussions in a gifted community and outside of it. We have here “the observer effect” in play where the act of observation (testing and labeling) is thought to cause changes in the subject of observation. 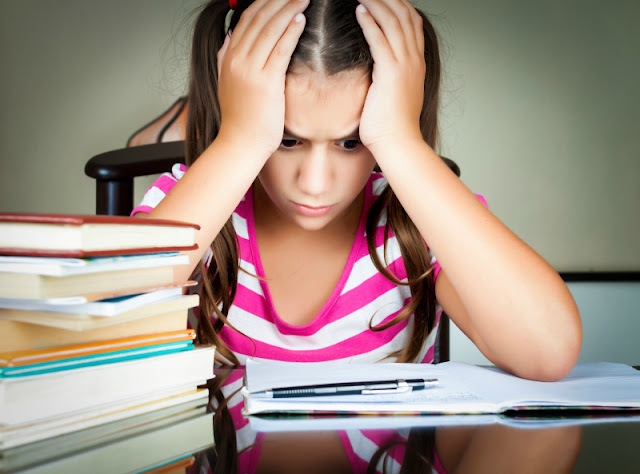 There is a growing body of research showing the dependency between “smart” or “gifted” labels and “fixed mindset” where kids start to worry that their failures mean that they are not so gifted after all. This is especially true for gifted girls who are more prone to crave acceptance from others. If you test your children privately, you might think twice about revealing the results of this testing to them. Obviously, this does not hold in our case when Smarty attends a clearly “labeled” GATE program. Luckily, almost all her best friends in school also qualified for GATE (smart kids do tend to "click"), so she doesn't feel all that special about attending it. So far we didn’t see any obvious negative effects from GATE identification. What we are dealing with more is the usual “precocious single child” behavior of being a bit too over-confident and an expectation that academic skills do not require effort. I am hoping to share some thoughts on those behaviors and how to deal with them in future Gifted Blog Hops. What are your thoughts on gifted testing or personal experiences with it? This post was written as part of Hoagies Gifted Blog Hop series. Follow Hoagies Gifted on Facebook and join the conversation on gifted testing. Love this post. I agree that you don't test to get a label, or bragging rights. And you certainly don't test prep for a cognitive eval (what?!). I believe that testing can be beneficial for a child who is in a public school setting *when you have specific questions to answer*. I am a school psych and I can see true value in a comprehensive assessment when there is a question to be answered. In our case, our son sounds similar to your friend's child. He was in public school and having a lot of behavioral issues, especially after school although they were certainly accruing at school as well. We tested to determine what to do next. Turns out, he's PG and I agree with you... there's simply no way to educate a PG child WELL in a public school setting. He was in a K-3 building and his achievement scores were well above that. We pulled him to homeschool. In our case, the testing changed our worlds for the better. It's such a case by case basis. I honestly haven't decided my thoughts on gifted programs and all of that because as a teacher I ran into the kids who were gifted but tested horribly and so didn't qualify and then there were the kids whose parents were convinced they were geniuses that insisted their kids needed to be in that class. Having been the kid who was just below the cut off for one of the gifted classes it was a very frustrating thing to see several of my friends head off to the class, but not get to go myself. I think the testing makes sense only in terms of providing access to services - and even then it's a decision to make carefully. Mike got into the gifted program in his home town, but his parents sent him to the regular school so he and his sister could go to the same school. He wound up outperforming all of this gifted school classmates in high school - he was the valedictorian. Its hard to run gifted sesdions in schools as with say 60-90 kids in a year only 1 is likely to get max scores - the top 0.6%. For bright but not gifted kids(top 10%) the usual streaming and tables is enough.